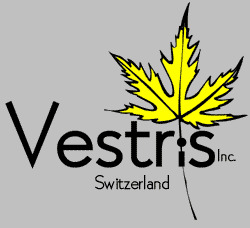 In 2009 I gave away the remainder of my old company’s, Vestris Inc., software. The source code for all of it is also available here. Today, I found myself needing to do some search-and-replace and was amazed to see that XReplace-32 is still the best damn search and replace tool out there, ten years later. The installer didn’t run on my 64-bit Windows, so I got a version installed on XP and zipped it all up. Did the same for Expression Calculator. So, if you’re in the market for a free search and replace tool or a powerful free Windows calculator that can do expressions, look no more. Download XReplace-32 2.32 (installer) Registered version, completely free, binaries only if the installer doesn’t work. Download Expression Calculator 2.43 (Installer) Registered version, completely free. I sold many thousands of copies of both till about 2003. If you’re still using these, post a comment! Blast from the past: working versions of XReplace-32 and Expression Calculator was published on April 23, 2011 . See a typo?